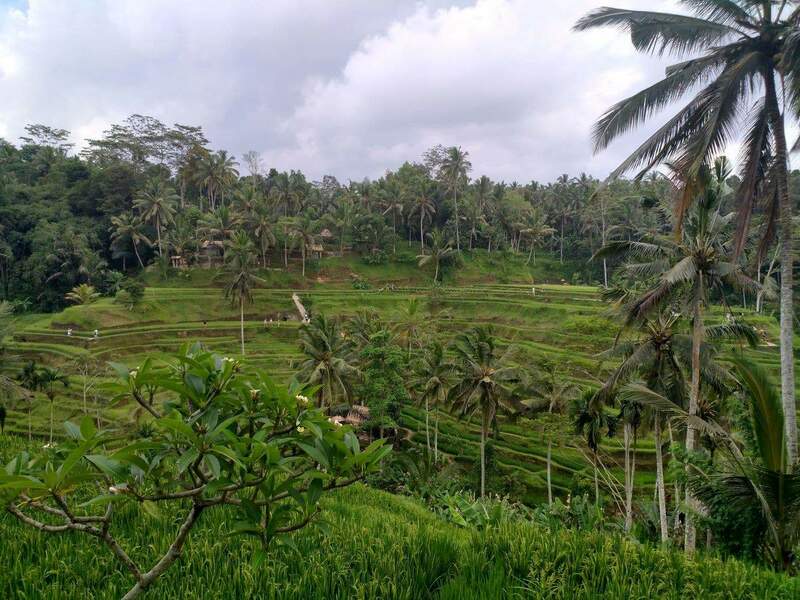 The famous Tegalalang Rice Terrace is located 20 minutes north of Ubud and is one of the must-visit places for those looking to holiday in Bali. 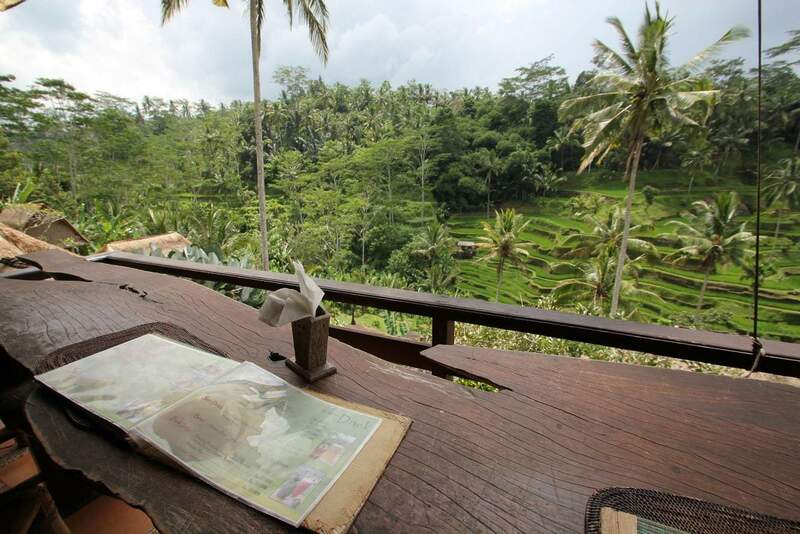 The terrace is set on a picturesque location by the cliff, providing sweeping panoramic views of the lush landscape. 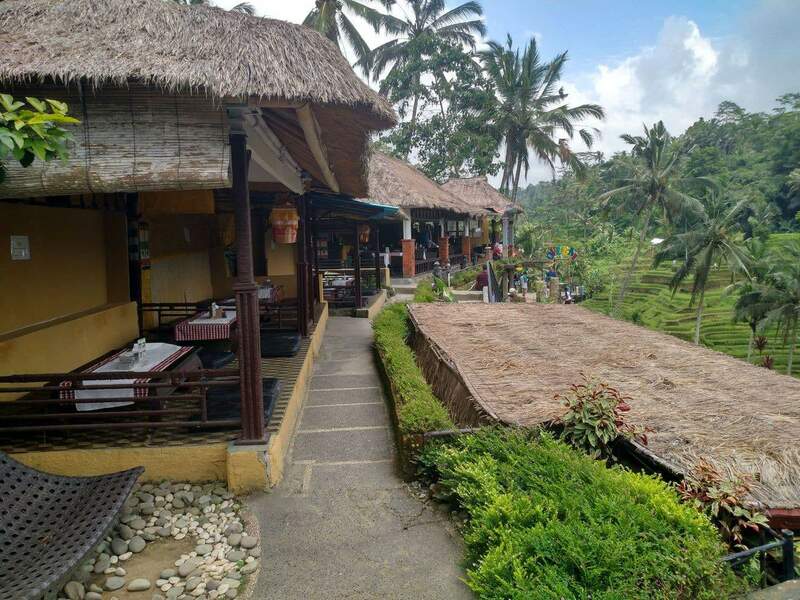 The green of the rice resembles an intricately-designed carpet, and the palm trees provide distinct highlights that add to the beauty of the terraces. 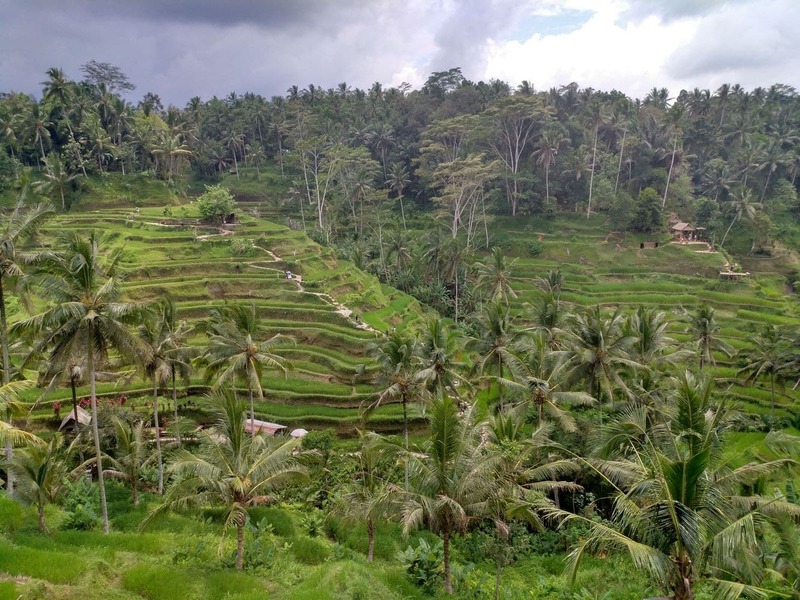 You can walk through the rice terrace, but the locals will stop you and ask for a “donation” as you walk through. Expect to pay anywhere between 20,000 – 30,000 Rp and make sure to tip the farmers if you take a photo of them while they are working. Most are happy to pose for a photo, but it is always polite to ask first and provide a small tip to them in return. 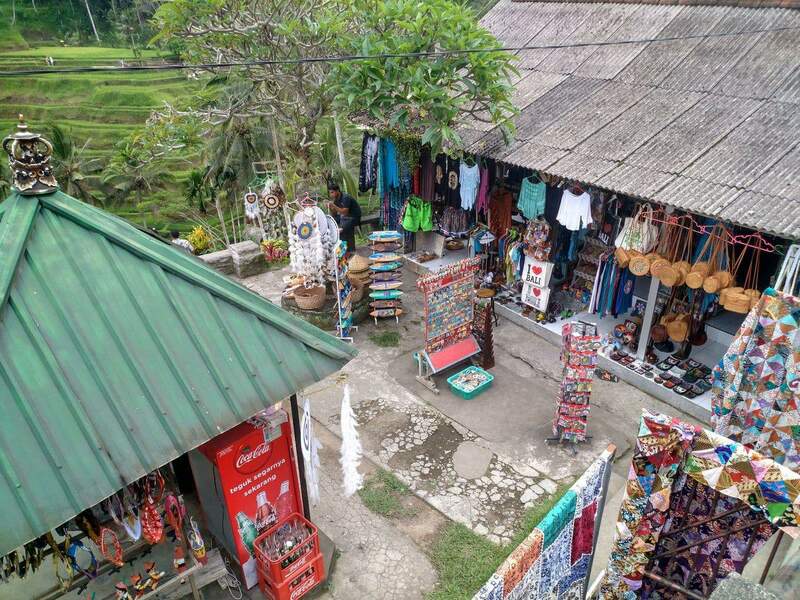 Once you have visited the rice paddies, take time to tour the souvenir shops that are dotted along the road leading up to the rice terrace. 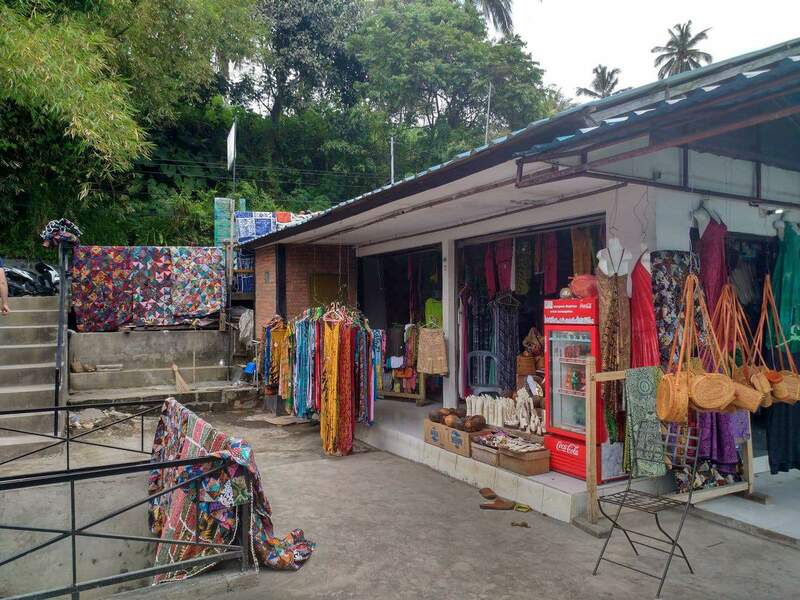 The shops stock handmade souvenirs and many other items that you can take home to remind you of your trip to Bali. 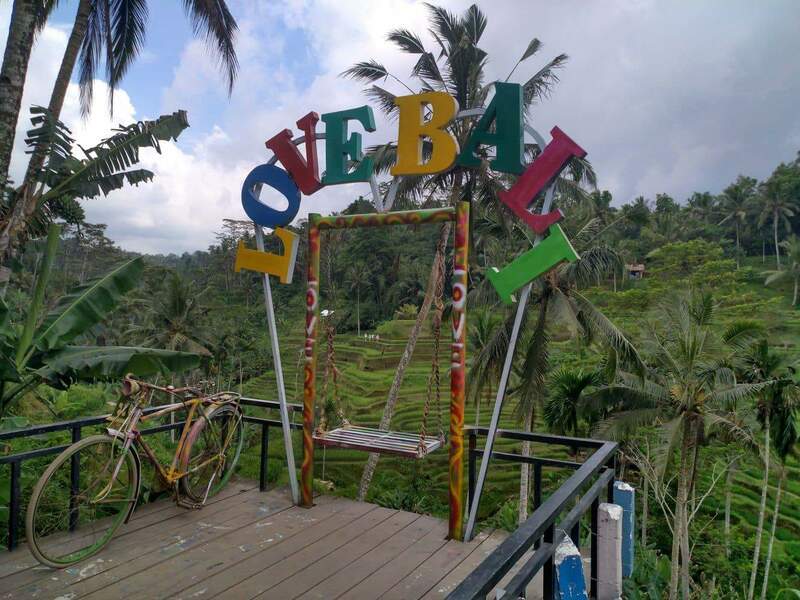 You will also find a few restaurants and cafes along here which cater to the tourist market. 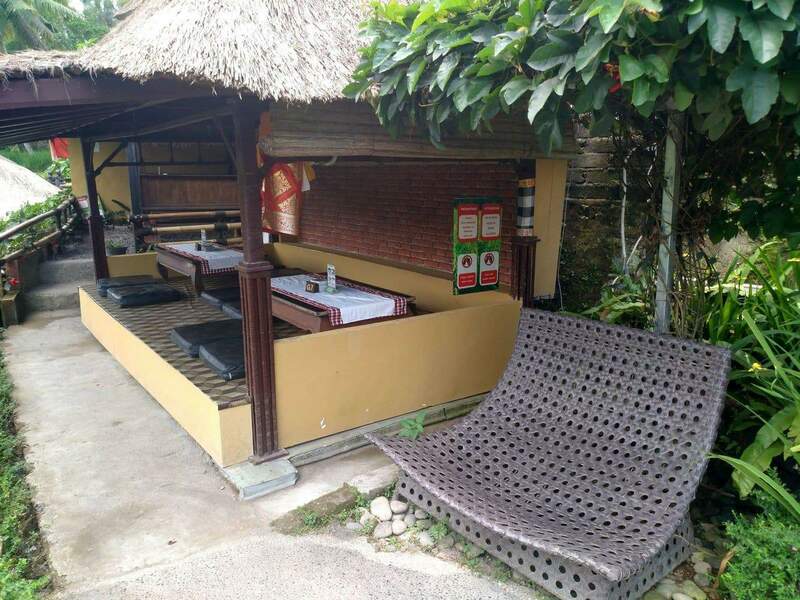 Therefore you will find restaurants serving both local and western food. 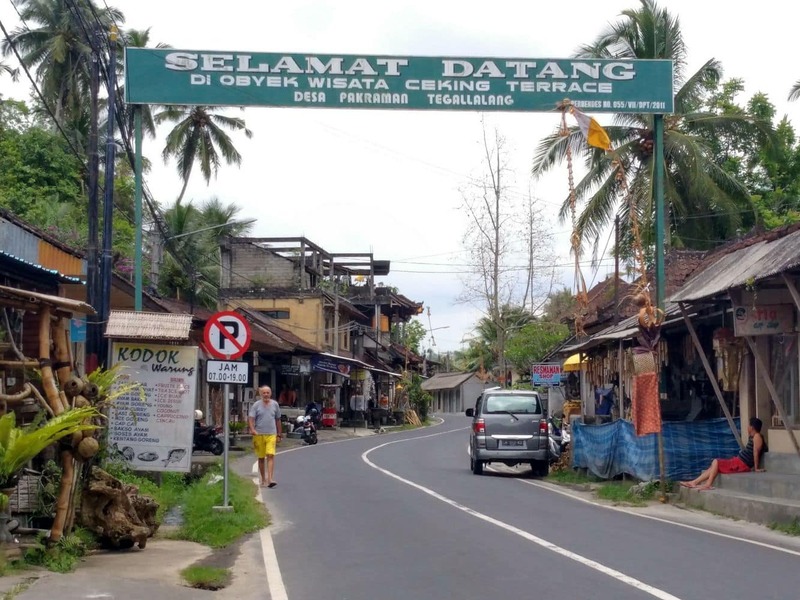 You can get here by taking a taxi or you can organise a private driver for the day. 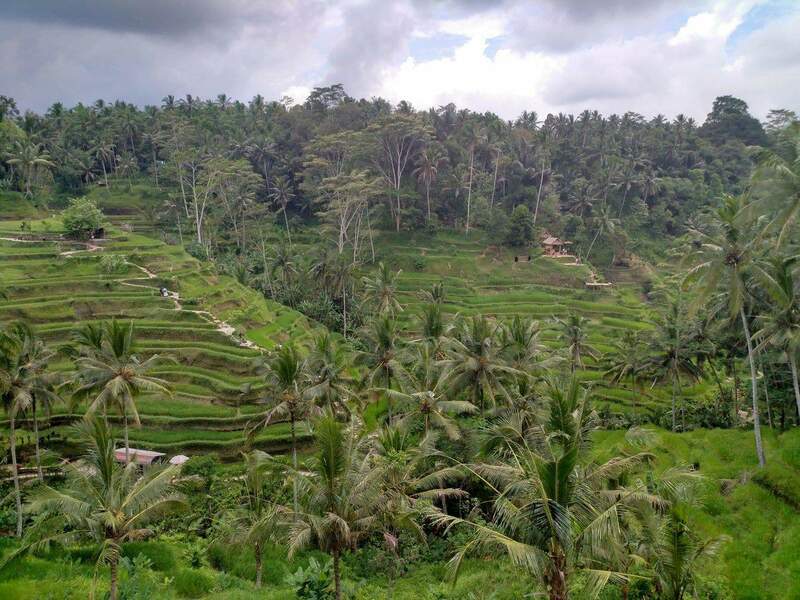 You can get to the rice terraces and back with a private driver for anywhere between 70,000 to 120,000 Rp for a return trip. 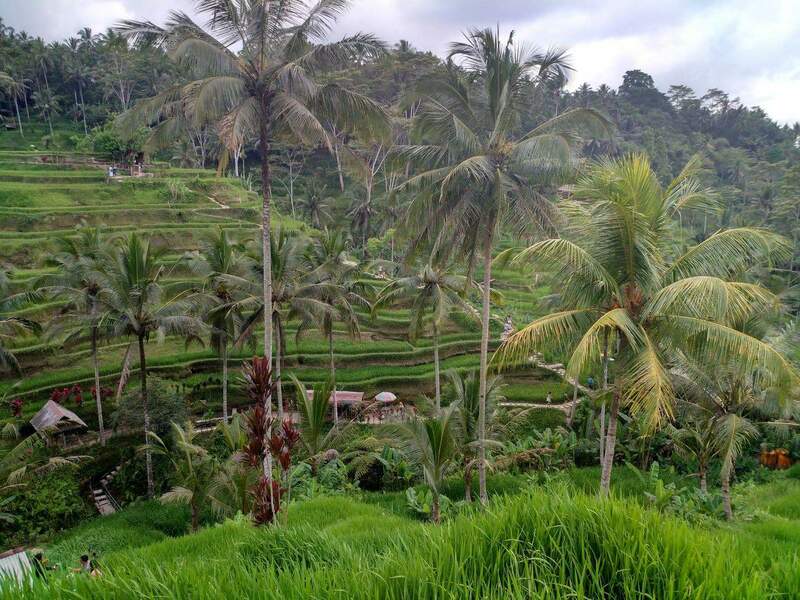 To book a driver for the full day, it will cost anywhere between 500,000 – 700,000 Rp. Entrance is free but "donations" are asked for by the locals to gain entry.